How long does it take to change a habit? 21 days? 30 days? 60 days? Wrong. Or rather it can take that long if you want to do this the difficult way. You can use willpower to try change a habit. Eventually the brain will rewire itself to let go of the old behaviour and trigger the new behaviour. However, usually willpower might help you stop a bad habit but it does not do the brain rewiring to replace the old bad habit with a new empowering habit eg replacing the urge to smoke a cigarette with drinking a glass of water. Yes, you do it consciously for a while but not unconsciously which means you will just forget. As a result you struggle, try, backslide, fight with yourself and take weeks or months, or just give up. Try being the operative word. If you try to do something, you are already setting yourself up for possible failure. Or choose the easy way with Hypnosis and let the wiring and habit change happen in an instant. The moment you make the decision combined with the right brain tools should result in the eliminating of the habit at the core belief level. If you want to quit smoking, but say you really enjoy it, or you are afraid of what you will do with your hands, or you have deep connections to things you love that trigger the urge to smoke... you will struggle. Until you create a core belief that you are a healthy non smoker and release the triggers that keep you hooked on the negative habit of smoking, you will struggle. Every habit works this way. The brain has superhighway style wiring that has created a powerful network that connects in an instant and forces you to feel, think, visualize and act on that habit without a chance to divert the signals. Here is what happens when you use hypnosis to end the habit. You are strong, healthy, in control... envisioning all the beliefs about who you are without that habit. Go into an imaginary future moment and meet the new future you who is rid of this habit. Observe how this person behaves, what they see and feel, absorb that new identity and all that goes with it, then come back out and observe again. Find the values, beliefs, identity and what it means in your life now that the habit was long ago, in the past. Whatever thoughts, beliefs or behaviours triggered you to keep picking up a cigarette are still there. Always will be. But here is the seemingly magical part of the hypnosis process: these old triggers now take a new path in your brain. The trigger finds the feelings, emotions, visuals, beliefs, values and behaviors that you CREATED. So you see a bottle of wine, not as a crutch or stress reliever but as a pleasant drink for someone who feels strong, healthy and in control of their your life. You see someone smoking a cigarette and you unconsciously take a deep breath and feel proud that you love being free from cigarettes. This all happens unconsciously where all permanent change occurs. We set up the new beliefs and values in your personal hypnosis session and these new beliefs and values together with the new identity wire new neural networks in your brain, sending new messages to your cells with the absolute knowledge and belief and emotions of what you DO want. Now do you understand why people find it difficult to give up bad habits or addictions consciously, with just willpower, even when they have good motivations to do so? Hypnosis rewires the neural connections. Doesn’t that seem the ideal way to give up something which is bad for you? 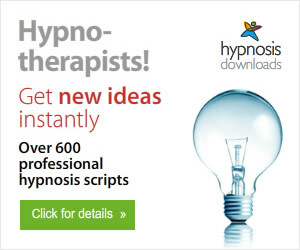 Antonia Harrison the English Hypnotherapist & NLP Practitioner in Belgium and Download Hypnosis Mp3 for immediate, affordable hypnosis Mp3s to improve your life. affluenza, n. a painful, contagious, socially transmitted condition of overload, debt, anxiety and waste resulting from the dogged pursuit of more. affluenza, n. 1. The bloated, sluggish and unfulfilled feeling that results from efforts to "keep up with the Joneses". 2. An epidemic of stress, overwork, waste and indebtedness caused by the pursuit of the American Dream. 3. An unsustainable addiction to economic growth. Do you know anyone who suffers from this? You perhaps? "...increases in material wealth may lead to feelings of worthlessness and dissatisfaction rather than experiences of a 'better life', ... many of those who become wealthy will find the economic success leaving them unfulfilled and hungry only for more wealth, finding that they are unable to get pleasure from the things they buy and that increasingly material things may come to dominate their time and thoughts to the detriment of personal relationships and to feelings of happiness. The condition is considered particularly acute amongst those with inherited wealth, who are often said to experience guilt, lack of purpose and dissolute behavior, as well as obsession with holding on to the wealth." I am not suggesting that we all give up capitalism and become staunch left-wingers but I do think that we have developed this need to keep on buying, collect unnecessary items, go shopping for something to do. Have you ever wanted to buy something on ebay, watched the auction closely but then found that you lost interest when the words "You have won this auction" appear? Do you spend more time shopping online than being with your loved ones? You know the problem I am talking about, the obsession even. Once you have become a spendaholic or shopaholic it is difficult to help. 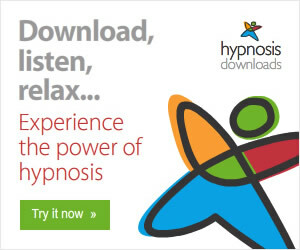 Here is an easy way: download a hypnosis MP3 called Overcome Affluenza. It will cost you just a few dollars but save you a fortune over time and mke you happier by removing this addiction to materialism and excessive consumption. Alopecia Areata is an autoimmune disorder which leads to hair loss. Initially, the disease is characterized by rapid hair loss, usually on the scalp, but it can also lead to hair loss on other parts of the body. Alopecia Areata may lead to complete loss of hair, creating bald patches on the scalp or body, or it may be more diffuse, where the hair becomes thinner and more fragile. Typically, Alopecia Areata is diagnosed when there is rapid hair loss, patchiness, and a more significant loss of hair on one side of the head compared to the other. It is believed to be caused by an immune disorder in which the body's own cells attack the hair follicles and disrupt normal hair growth and formation. Alopecia Areata is often associated with other autoimmune disorders such as lupus, ulcerative colitis and rheumatoid arthritis. Typically, the condition is diagnosed by the presence of so-called "exclamation point hairs", which are short, close to the scalp, and are broken off. Treatment for this condition typically includes injections, steroid creams and other medications. The longer the time between hair loss and treatment, the less likely the hair is to regrow. Hypnosis has been tested as an adjunctive treatment, and has produced interesting results. The mechanism for this effect is related to the fact that Alopecia Areata symptoms worsen under stress. The International Journal of Clinical Experimental Hypnosis (July 2008) has published research suggesting that hypnosis can improve hair growth in patients with alopecia areata, as well as significantly reduce the anxiety and depression associated with the disorder. Based on this finding, those suffering from Alopecia Areata should seek ways to actively reduce their stress, as an adjunct to ongoing medical treatment. Stress reduction, such as that provided by hypnotic suggestions, can go a long way to reducing the impact and progression of this type of autoimmune disorder. More and more General Practice surgeries are introducing hypnosis as an option for their patients whether to help them stop smoking, help with mental health problems or the sort of medical problems with which hypnosis has helped over the years. Antonia Harrison is the English Hypnotherapist in Belgium available to help people make positive change.